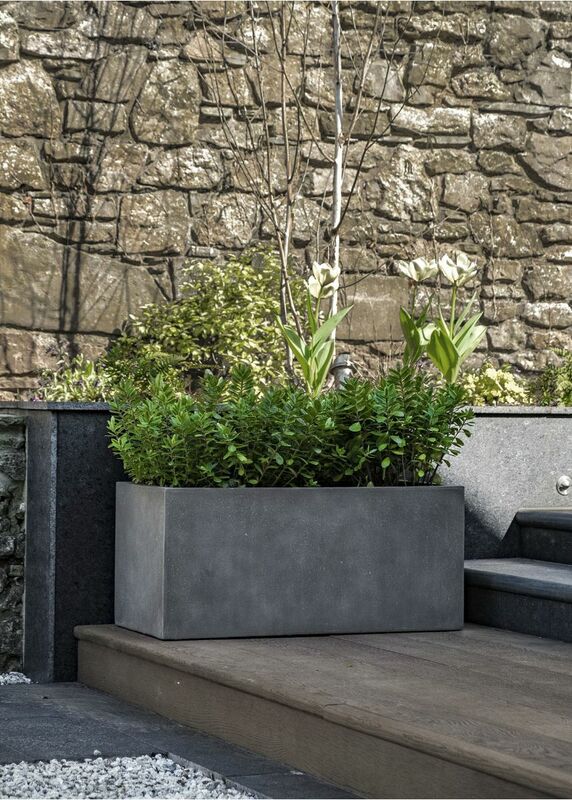 Enclave is a range of premium quality fibreglass (GRP) planters in the mid-grey colour of polished concrete, with a subtly weathered and pitted appearance. 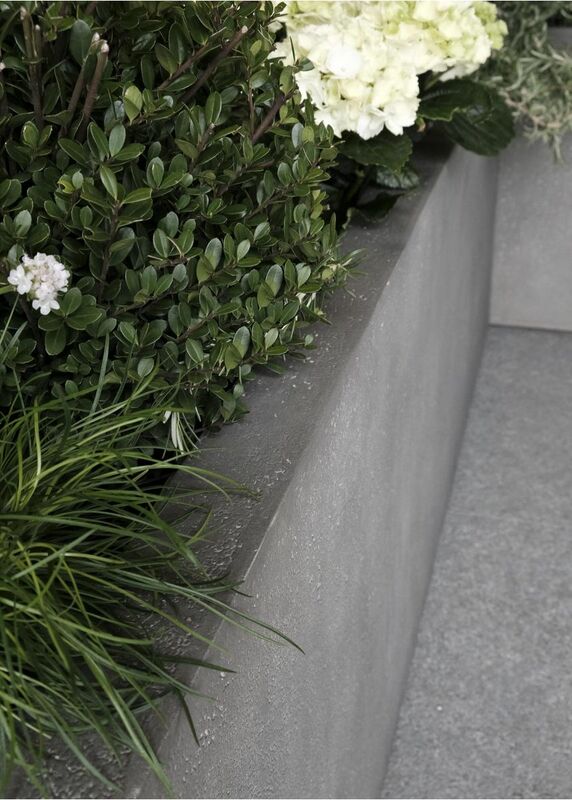 Each pot has a slightly different pattern of surface pitting, which adds character and interest while softening the look. The colour works really well with pretty much any colour of exterior stone tile or gravel, so this is a very versatile range. 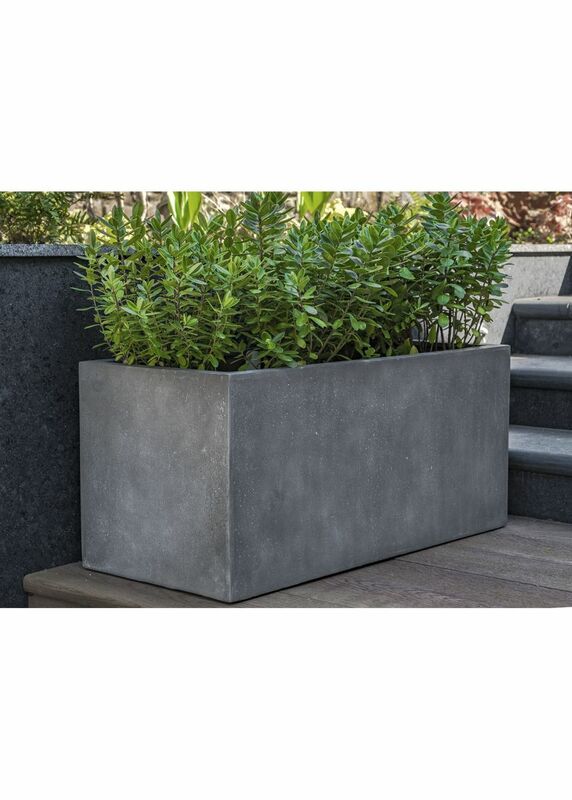 The planters are weatherproof, durable, and extremely strong, while having the advantage of being light enough to be handled easily. 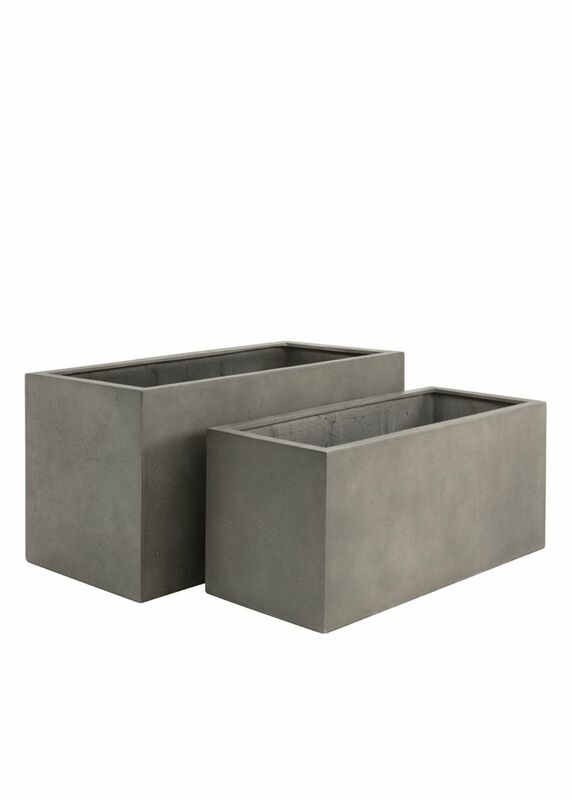 Both these planters are large enough for many different planting options. For a smart and formal look try a row of Buxus ball-shaped topiaries or neat rounded Hebes, or add movement with grasses. 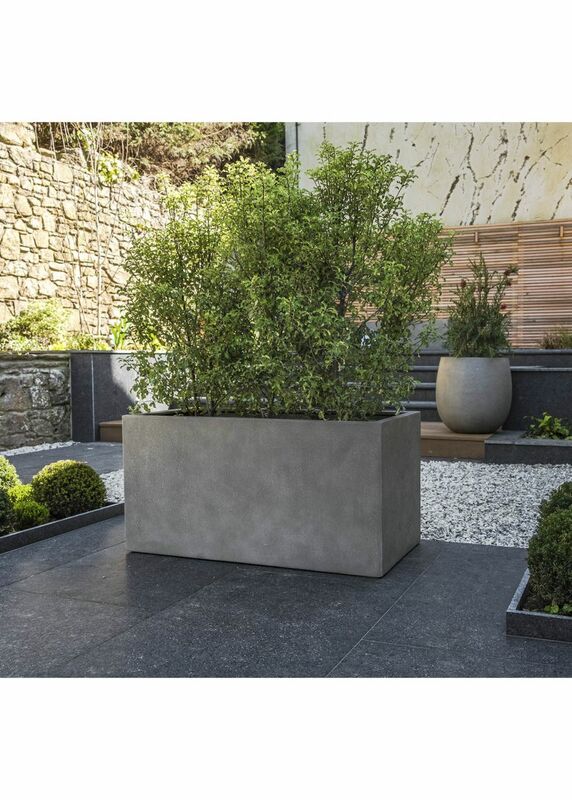 As with all rectangular containers they are useful for dividing a larger space, lining a pathway or creating a barrier. 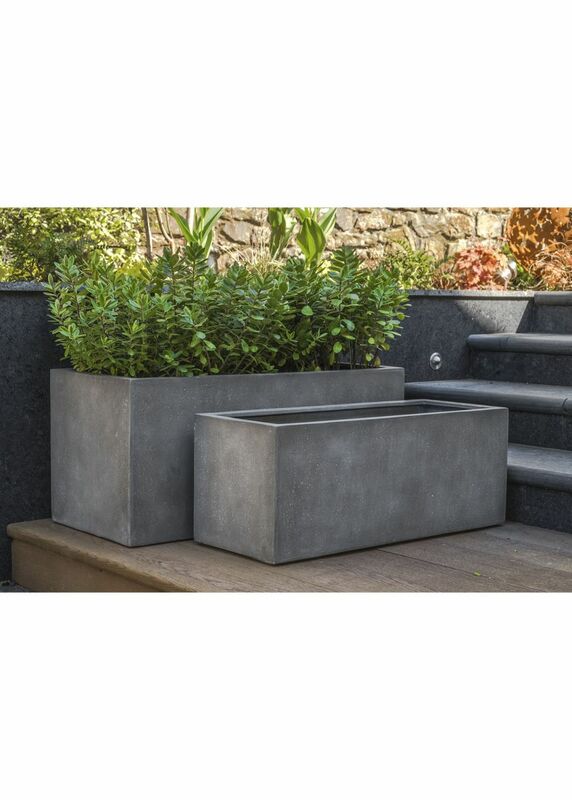 The Trough 1500, Trough 1200 and Cube 500 planters are all the same height (50cm) as the Trough 1000 and can be combined together in different ways to fit a particular space. Material: Fibreglass and polyester resin (GRP) with stone powder. Sample tiles available on request. These products, due to their size, are delivered on a pallet by our dedicated delivery service, together with any other items ordered.